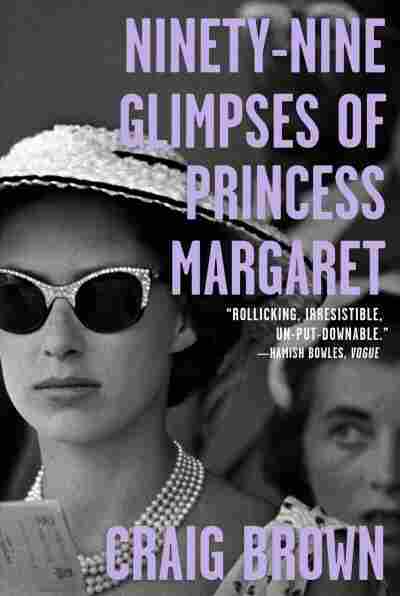 'Ninety-Nine Glimpses Of Princess Margaret': A Woman Who Watched The Throne Craig Brown's new biography of Queen Elizabeth's glamorous and scandalous younger sister documents "a life which sort of went off the rails," he says. 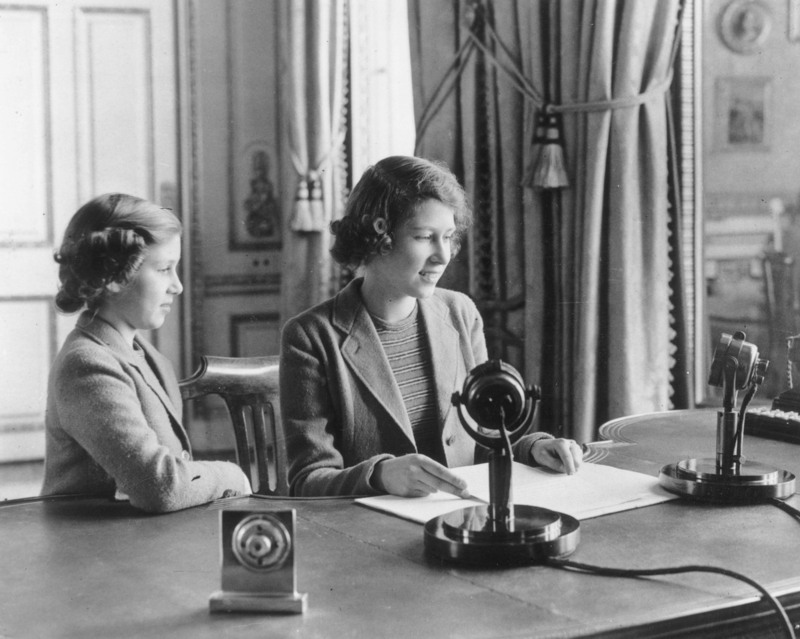 Princess Margaret watches her older sister Princess Elizabeth make her first broadcast on Oct. 12, 1940 in London. 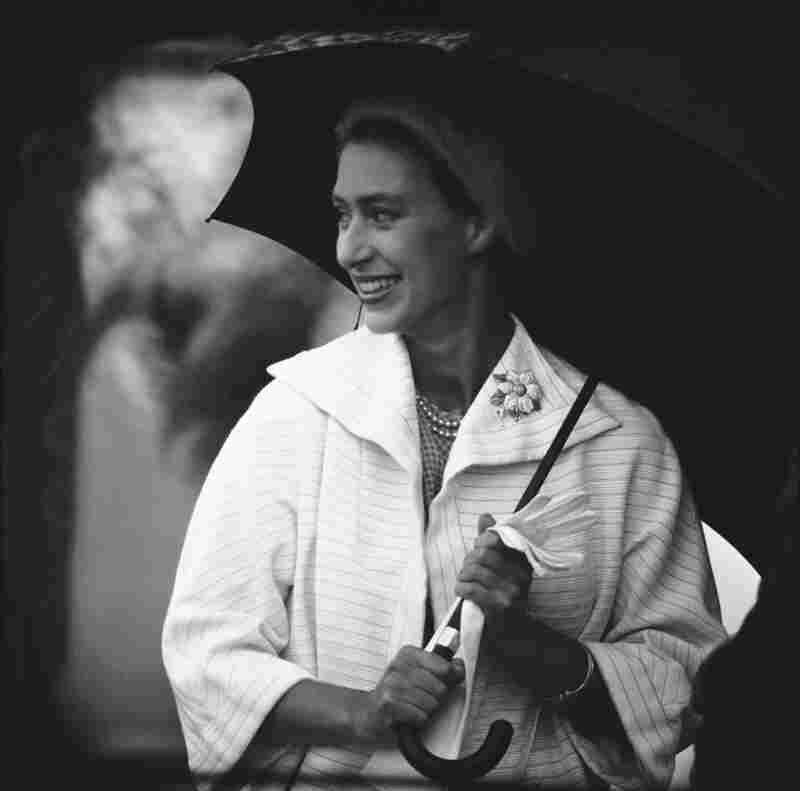 Princess Margaret, pictured here in 1958, is the subject of a new factual biography from author and parodist Craig Brown. There she was, posing with Jack Nicholson in Hollywood, hobnobbing with Mick Jagger on the island of Mustique, enticing admirers from Picasso to Peter Sellers — and brutally insulting everyone from Twiggy to Elizabeth Taylor. As she told a BBC interviewer in 1981, the press did her no favors. "I think since the age of 17, I've been misreported and misrepresented," she said. The author and satirist Craig Brown sets out to decode this puzzling figure in his biography Ninety-Nine Glimpses of Princess Margaret. "I was interested in her just as sort of a social phenomenon," Brown says. "I was also interested in writing a book about a life which sort of went off the rails, because in biography, people only choose to write biographies of people who are successes — you know, successful sportsmen or artists or that sort of thing, or the queen, for instance, who is successful in being a monarch. I was interested in writing a book about someone who wasn't, whose life wasn't a great success — didn't really turn out as she wanted it to." 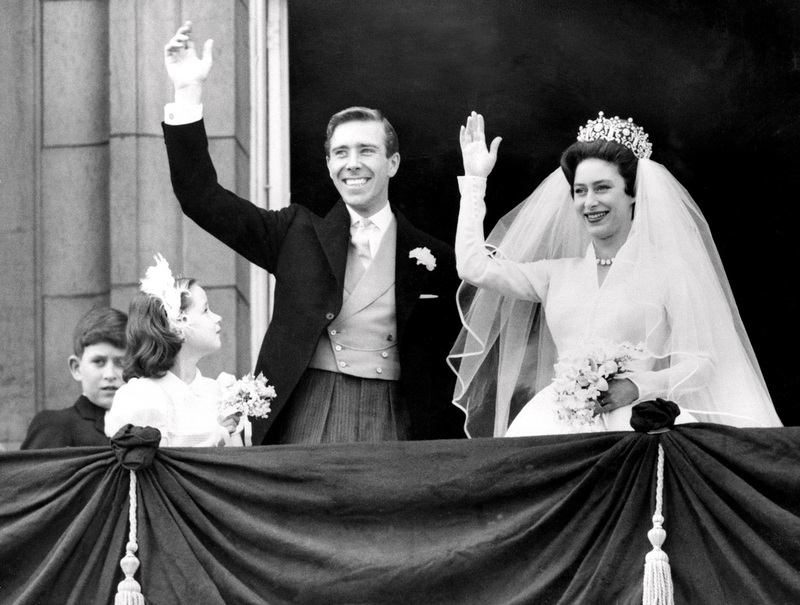 Princess Margaret and Antony Armstrong-Jones wave from Buckingham Palace on their wedding day in May 1960. In a way, her life peaked at the age of 6, and then — by the nature of things — and when Prince Charles is born and Princess Anne and all the other royals and then they have children. And so throughout her life, she was kind of, like, dropping in the book charts or dropping in the pop charts. And so she was becoming more and more obscure. And worse than that, new people, you know, marrying into the royal family, she — would be above her in the pecking order. And she would be curtsying to them and that kind of thing. And I think that affected her a great deal. And so in a way, her rudeness — it was a way of kind of fighting back against this progression of obscurity. A friend of mine, who was also a friend of hers, who has a disabled husband who's a very talented architect, but he had polio as a young man. And Princess Margaret, even though she had known him (and both of them) for quite a long time, she once said to him: Have you ever looked at yourself in the mirror and seen the way you walk? There are other ones which sort of seem comic, but you wouldn't like to have been on the receiving end of them. And for instance, there's a former Conservative politician, now a very successful journalist, Matthew Parris, remembered, when he was an MP, taking her around an old folks' home. And these old ladies had cooked her a chicken dish. And she took one look at it and said, "That looks like sick." I mean, you can't imagine the queen ever saying that kind of thing. To be honest, I didn't really like her more and ... I wouldn't really have wanted to spend much time with her. I mean, though, she could be fun in a kind of camp way. You know, she'd sort of — she could be sort of larger-than-life and everything. But there were too many spiteful things about her. You know, she liked surrounding herself with people like Gore Vidal, people who are very witty. I think part of her rudeness was her trying to be kind of witty but it coming out wrong. And so she couldn't be ironic because she wasn't as nimble as the people that she surrounded herself with. And so it just came out as rude rather than, you know, something from Oscar Wilde. Probably in the end, I did exactly what she wouldn't have wanted, which was: I started pitying her. One of the things about my book, it's — in a way, it's a portrait of an era, and that era has completely passed. And so you can't really start saying, oh, well, if 1947 had been 2019, would things have been different? Well, they would have been, but they'd have been so different for everyone that — but, I suppose, she was a victim of a certain kind of stuffy, conservative outlook by the public and by the monarchy. And life is a lot less stuffy and conventional now. And so I suppose she'd have fitted in. I — but I also think she'd have still had to conform in the way that Meghan Markle has to conform to some extent in that she can't, you know, do a next episode of Suits and things. James Delahoussaye and Lynn Kim produced and edited this interview for broadcast. Patrick Jarenwattananon adapted it for the Web.